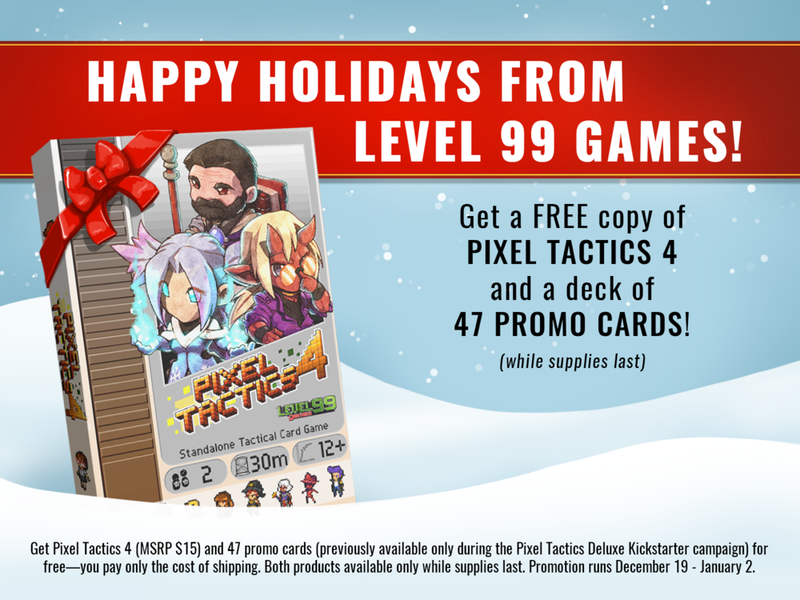 This year, our free giveaway gift is Pixel Tactics 4! Not only that, but you'll also receive a big bundle of 47 rare promotional cards from our past Pixel Tactics Kickstarter project. Don't miss out–this free item is only available while supplies last! Step back into the Golden Age of Strategy Gaming! Newer PostJust a few more copies of Pixel Tactics 4 left! Older PostBattleCON ONline Patch v0.19 - Iri Arrives!